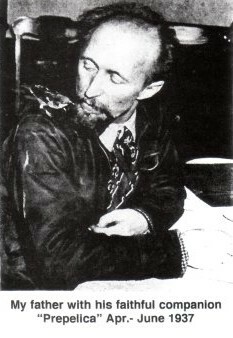 After Vanka's death in 1963, a bird sanctuary was established in his honor at the Washington Crossing Nature Education Center. 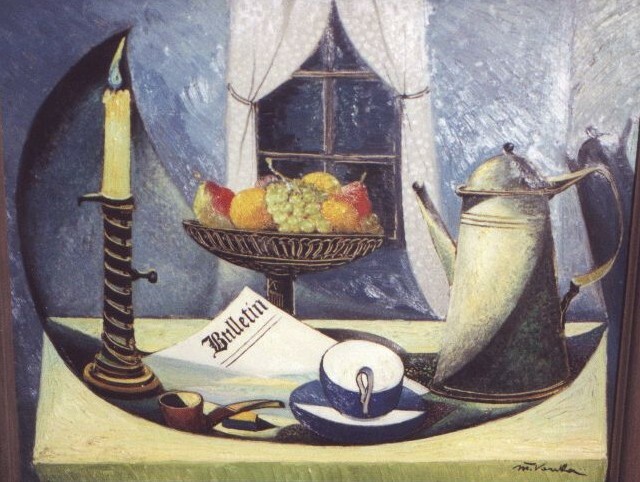 Logline: Croatian painter Maximilian Vanka arrives in Pittsburgh in the mid 1930's. 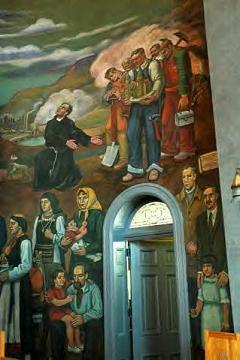 Through the intervention of the writer Louis Adamic, Vanka receives work that will make him famous in America: the parish priest of the Croatian Catholic church of St. Nicholas in Millvale near Pittsburgh commissions the painter to decorate his church with frescoes and gives him total artistic freedom. Fr. Žagar discovers that he is involved with a very mysterious man. In a book by Louis Adamic, The Cradle of Life, a work of "fiction," he reads a description of Maximilian Vanka's life, for whom it was believed back in Zagreb that he hailed from the highest aristocratic circles in Europe, that his father was none other than Rudolf Hapsburg. A peripheral artistic and metaphysical experience, testimony to the deep interior condition and a personal drama echo in the heart of the new civilization. 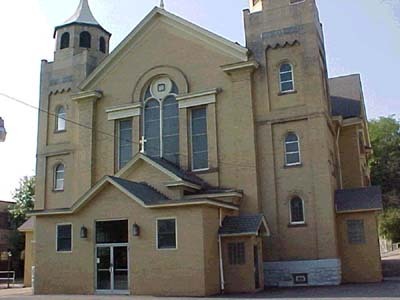 St. Nicholas Croatian Catholic Church in Millvale is listed as part of the national heritage of the United States of America. With their sheer monumentality of composition and intensity of feelings Vanka's murals at the St. Nicholas Catholic Church in Millvale, Pittsburgh – Pennsylvania, suffice to place among the greatest muralists of the twentieth century, the most striking and provocative murals to be found anywhere in the world. 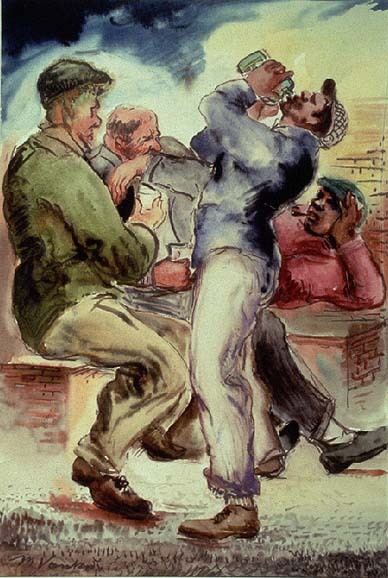 Painted by Vanka (1937 – 1941), a pacifist who immigrated to the U.S. from Croatia, "the best church murals in America" are striking blend of traditional religious (holy) images of Giotto and Da Vinci in that they were derived from the artist's own life experience: "Proletarian break-off with pall ecclesiastical tradition". The triumphant heavenly skies celebrate by contrast to the imagery of suffering, war and betrayal, the bright promise of Christian redemption. Catholics, Jews, Protestants, people at no definite religion, begane to come to the little church, to ask the happy, proud, bustling Father to let them see the paintings of Vanka's testament. Unique church artwork that combines secular and ecclesiastical images with startling interpretations of 20th century (even today!) historic events. A moving tribute to all immigrants to the U.S.
Vanka, a painter whose art and life defy easy interpretation and classification, might strike one as the embodiment of such an enigma. There are complexities that points to the depths of human suffering, yet there are also extemporaneons flights into sweat mellowness. In New York people gased at him; many smiled to him; others paused to talk with him. Jews asked him was he a Jew; others, was the French or what was he. An actor? An artist? A Greek Orthodox priest? Having such a special biography in front of me, I drafted an idea that is both simple and self-evident: from its premise to its climactic counterpoint - the strong dividing line between two separate fates from two different worlds (the old world and the new) - Pittsburgh's fiery, molten steel and an especially subtle sensibility which is finally given full freedom, reaching its eternal dimensions, to express a mundane personal (universal) drama, and therefore rising to heaven. This is not a typical biographical film but rather a film about the fascinating secret of art and the artist combining both heavenly and demonic dimensions which comes from and goes nowhere, all of which is always and in its end - the outcast - , outside the world even though it passionately participates in it. Vanka's status as an offspring of the Austrian nobility allows him to have intriguing experiences though this is offset by heavy feelings of abondonment, being meteorically thrown into a world where he cannot conform. This is the source of his bitter humor, but also his capability of paranormal goodness, and even his similarity to a saint, St. Francis of Assisi. In Los Angeles, a man made him a proposition to start a new religion, "because you have the personality for a religious leader," and spoke of being willing to guarantee him a huge annual sum in profits therefrom...To Maxo's amusement, urchin's shouted "Whiskers!" and ran. And at the end, the end of the path, the end of the frescoes: St Francis flies up, with his arms outstretched, together with the birds - up towards the arhed ceiling where the "transcendental vision" is (Christ's descent into hell and his ascent into heaven, where Dora mamma is, the Sorrowful Mother in earthly life is now the Mother of God, Queen of Heaven in eternal life. Her message? "After death there is Life, and here is the Way-My Son." 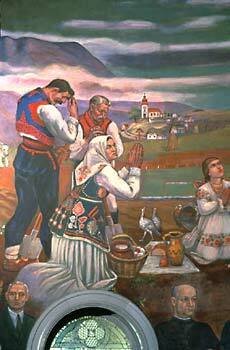 The last fresco of the crucified peasant woman "Mati (Mother)" 1941 with Vanka's dedication "to Louis Adamic." Vanka swims in the open sea, surrenders and drowns. Under the water, the body is carried by the currents - his arms outstretched as if he is flying. In the final scene, Vanka will swim to an imaginary island, where his parrot Muri is waiting for him. Many thanks to Mr. Mladen Juran, Zagreb, for sending us the above logline and conception. 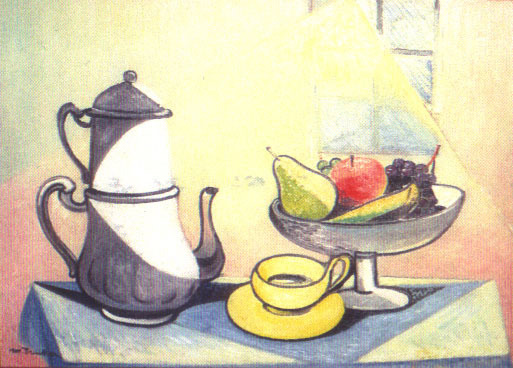 The collection of Maksimilijan Vanka, along with his house and studio in Korčula, were donated to the Academy in 1964 by his widow, Margaret Stettin Vanka. 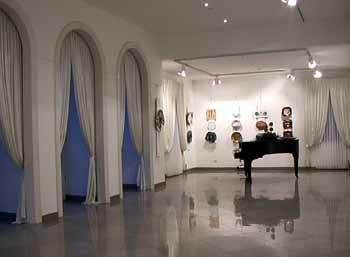 Vanka's villa was adapted for the presentation of the Memorial Collection, and its was opened to the public in 1969. 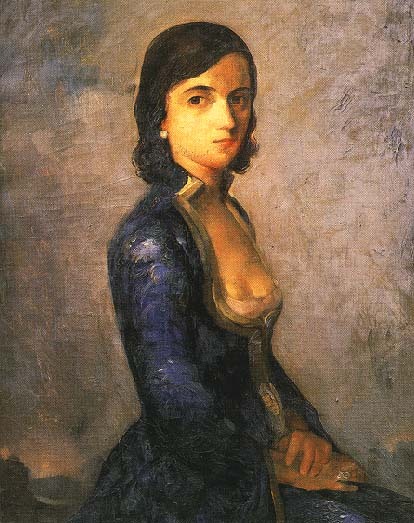 Maksimilijan Vanka (Zagreb, 11 October 1889-Puerto Vallorta, Mexico, 2 February 1963) is an important name in modern Croatian painting. He was educated in Zagreb and Brussels. 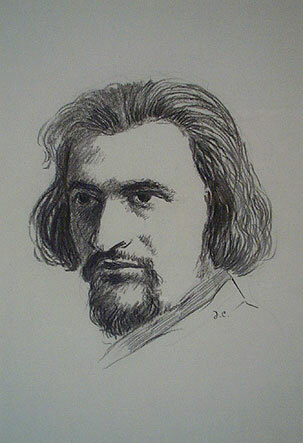 He was a corresponding member of the Academy of Sciences and Arts, and a professor at the Academy of Fine Arts in Zagreb until his departure to the United States in 1936. Maxo Vanka was one of costume designers for a famous Croatian-American ballerina Mia Slavenska. Hvala na tako izvrsnim informativnim stranicama o velikom hrvatskom slikaru, da nema interneta nebih ni znala da is naseg malog naroda ima tako veliki ljudi. Jos jednom, velika vam HVALA!!! Enjoyed the article, but the portrait on page 4 is not a self portrait. It was done after Vanka's death by another Croatian artist.